Go Ahead, Put that Preposition at the End! 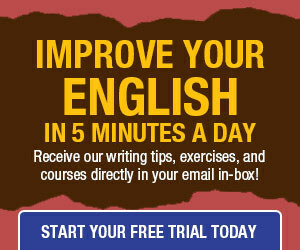 When did the rule about ending the sentence with a preposition change? It’s always been one of my pet peeves (in written word more than spoken) because we learned it was wrong in high school grammar…. but now I’m reading that it’s acceptable? Could all our English teachers have been wrong? It is a cherished superstition that prepositions must, in spite of the incurable English instinct for putting them late…be kept true to their name and placed before the word they govern. He says Dryden, Gibbon, and Ruskin spread the notion that English sentences must never end with a preposition. Dryden was so steeped in a classical education that he sometimes translated his sentences into Latin before writing them down in English. He ran after the wagon and jumped on. He left on the horse he rode in on. “on” is possibly a preposition, but would the sentence be improved by writing He left on the horse on which he rode in? We still have a word that looks like a preposition ending the sentence. Would it really improve an idiomatic sentence like What did you do that for? to rewrite it as For what did you do that? ask out George wants to ask Mary out. add up These figures just don’t add up. As writers we need to be aware of the rules of our medium and strive not to write anything barbaric, i.e., unidiomatic. We need to be alert to differences between formal and informal expression, but whether we are writing a scientific treatise or an irreverent novel, we need to stay true to our instinctive grasp of our native language. Those who lay down the universal principle that final prepositions are “inelegant” are unconsciously trying to deprive the English language of a valuable idiomatic resource, which has been used freely by all our greatest writers except those whose instinct for English idiom has been overpowered by notions of correctness derived from Latin standards. The legitimacy of the prepositional ending in literary English must be uncompromisingly maintained; in respect of elegance or inelegance, every example must be judged not by any arbitrary rule, but on its own merits, according to the impression it makes on the feeling of educated English readers. For a useful list of phrasal verbs, visit Dave’s ESL Cafe. See Churchill on Prepositions for a discussion of the Churchill anecdote. Thank you for the post. This is something I battle with almost every time I write. A previous tip discussed passive voice. Churchill’s comment above is in passive voice. It could be written actively (and without the ending preposition): “I will not put up with this type of arrant pedantry.” 🙂 This, however, defeats his intended humorous purpose. Fabulous post. Those pesky prepositions have been irritating me for years. Right up there along with that “don’t start a sentence with a conjunction” rule…. Are you sure that the Churchill quotation is couched in passive voice? There’s more than one way to approach the up with which, but since I don’t need it to show that neither clause is in passive voice, I’ll ignore it. Both clauses are in the active voice, not passive. There is no action in the first clause, but that does not make the verb passive. Passive voice has to do with whether or not the subject is seen to act or be acted upon. The postman was bitten by the dog. The refugees were sent to a camp. 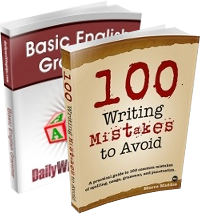 A common misapprehension is that any verb that includes a form of the verb to be is in the passive voice. That’s not the case. Please may someone help me to know the difference between using the word ‘farther’ and ‘further’ – is their even a difference? or can they both be used, anyone of them interchangeably? I’m going to respond to your question in a regular post. Okay, thank you very much Maeve. Thank you.. I just made link to yours. I see — thanks for the clarification! *chuckles* Mike and Maeve must be the kind of arrant pedants with whom Churchill would not put up. 😉 In a sense, ending the sentence with up would be considered accurate because it is the location. ‘Put up’ being to unduly lift above station. Of course, that reason then causes issues with the word, “with”. ‘Put up’ is also used as a term relating to taking time with someone/thing. We ‘put up’ our feet with this person/thing. Obviously, we all regularly use questionable English. The languages imperfections are a great part of its charm. Yes, those English teachers can be wrong, and often are. However, we agree on this issue–to a point. Here’s the problem: prepositions typically BEGIN prepositional phrases, and, as such, require an object of the preposition. A prepositional phrase cannot be completed if the preposition is the last word in the sentence. However, sometimes those words that look like prepositions are used as part of verb, in which case we have no problem putting them at the end of the sentence. Here’s a couple of example to illustrate what we mean. 2. “She’s the girl from whom I want to get away.” “Away” seems like a preposition, but it is being used as part of the verb “get away,” which is different than the action of getting “getting.” [Actually, in this case, “away” is being used as an adverb, but, for all practical purposes, it’s acting like part of the verb.] “Get away” refers to a particular type of action, so we’re fine with leaving “away” at the end of the sentence. This is like “I looked his phone number up.” “Looked up” refers to a particular action and, though divided, is acting like a single verb. One last comment: “What did you do that for?” is actually an abbreviated, dialectic, version of “For what reason did you do that?” However, it can be revised as “Why did you do that,” which we prefer for its simplicity. Ultimately, you have to determine the appropriate level of formality. If the writing is casual, go for it. If the writing is meant to be formal and professional, then consider those ending prepositions very carefully and think about effective revisions. They might be something you can live with. In your provided sentence “He left on the horse he rode in on,” the second “on” is probably unnecessary. Also, “away” is not a preposition and never is such. I love “up with which I shall not put.” I think it sounds awesome and it is grammatically correct. Ending sentences with prepositions is lazy. It’s also confusing to foreigners. once a man said: i hate myself and I want to die. but the problem is that he suisided .i’not sure but there’s nothing to die for in this whole world. @SweetBecca: Did you actually read this post, or even just its title? If so, I don’t understand why you are surprised that other posts on this site have titles that end in prepositions. @Ian … There’s nothing lazy about ending a clause or sentence with a preposition. It’s fine to do so in any Germanic tongue. … And it isn’t hard for outlanders for outlanders to understand if their birth-tongue is one of the Germanic tongues. It was touched on in the article but let’s say it again and more clearly. English is a GERMANIC tongue! I can say in German, “Kommst du mit?” … “Are you coming with?” This is normal in any Germanic tongue. Trying to slam English into a box with Latin grammar rules doesn’t work. To end a sentence with a preposition is illogical. It does not make any sense. English is a Germanic language with Latin rules of grammar, which is the model of logical language structure. Furthermore, Latin is the mother language of French, Spanish, Italian, Portuguese, and Romanian. You don’t end your sentences with a preposition in theses languages because they wouldn’t make any sense.